The thought of turning your dinner table leftovers, old cardboard boxes and even dirty diapers into fuel for your car might sound ambitious, or even absurd. 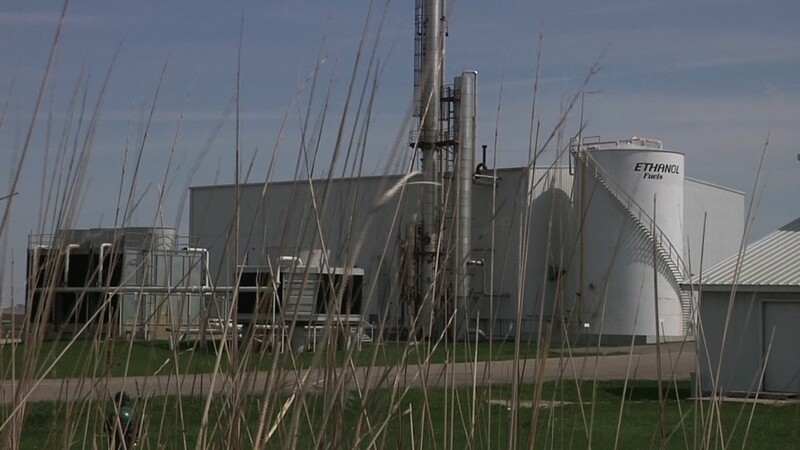 But scientists, bioengineers and profit-minded businesspeople say they can do it, and it’s becoming a part of Iowa’s advanced biofuel landscape, according to an IowaWatch study involving dozens of interviews with industry leaders, engineers, environmental experts, biofuel economists and government officials. 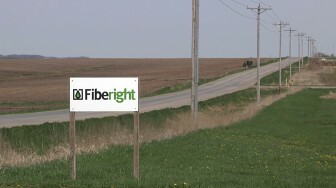 The Fiberight sign outside its ethanol plant just outside of Blairstown, Iowa, in this May 4, 2014, photo. The budding advanced biofuel industry stretches from Emmetsburg in the west to Marion in the east in Iowa, and also to several other parts of the country. Although business and political challenges remain, engineers have concocted an expensive cocktail of chemicals called enzymes that are too small to see with the naked eye, but can devour landfill trash and turn it into a new fuel that can run the family car. Often called “trashanol” in the industry, this garbage-to-gas process contributes to energy independence. Many scientists say it’s greener than corn ethanol. And, trashanol deals with one environmental problem that no other biofuel can claim — landfills and the earth-warming methane gas they produce. Landfill methane is one of the major causes of global warming. Although it mars the countryside around most every burg, village, town or city, that makes it a valuable resource for energy production. It is an inexhaustible and pervasive source of biofuel feedstock that is available virtually anywhere in the country. While scientists are optimistic about trashanol’s environmental benefit, and business leaders are working to make it economically feasible, they acknowledge many challenges lay ahead. For one, it never has been produced on a commercial scale in the United States. For another, political obstacles are hard to predict. For example no one can say at this time what the Environmental Protection Agency will do with the Renewable Fuel Standard, a government rule mandating a minimal amount of ethanol and a critically important factor in making advanced biofuels economically viable. The EPA is to decide in June whether or not to reduce sustainable fuel requirements. UPDATE: On Monday, June 16, the Federal Register posted an announcement that the Environmental Protection Agency pushed back until Sept. 30 the deadline for deciding whether or not to reduce the compliance percentages for the 2013 Renewable Fuel Standard. Trashanol is one form of biofuel classified as cellulosic ethanol. Cellulosic ethanol is derived from plant fiber, such as in corn stover, switchgrass, wood residue, and hybrid willow and poplar trees. The emergence of cellulosic ethanol is causing excitement among serious energy experts, scientists and government officials not only in Iowa, but nationwide. “There’s a huge opportunity to continue to expand, and I think ultimately, cellulosic ethanol could fill much of the gap between what is now made from corn and what is now produced from gasoline,” said Charles Wyman, professor of chemical and environmental engineering at University of California, Riverside. Numerous companies have converted landfill waste into ethanol on small-scale projects, but none are large enough to take on the waste from a populous urban area. This leaves industry professionals concerned about profitability. Iowa is the largest producer of corn ethanol in the nation, but alternative forms of biofuel also are planting roots in the state. Companies like POET-DSM in western Iowa and DuPont in central Iowa are leading the state into the alternative biofuel frontier. Both companies use corn stover — the material left on the field after the corn harvest — to make ethanol. POET-DSM in Emmetsburg anticipates commercial scale production by June, and DuPont in Nevada, Iowa, by late this year. When finished, the DuPont facility is expected to be the largest cellulosic ethanol plant in the world. In eastern Iowa, even newer developments are in the works. A company called Fiberight soon could start feeding off landfill waste to make trashanol on an industrial scale for the first time ever. Craig Stuart-Paul, Fiberight’s chief executive officer, has plans for a $9 million operation called a pre-processing plant in Marion, Iowa. Allen Bouska, a businessman and Marion’s mayor, said he looks forward to his town becoming a leader in trashanol developments. “We feel that once this starts, we’ll have a stream of individuals coming by looking at this facility to see what they can do with their waste,” Bouska said. 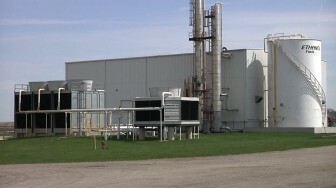 The corn ethanol plant that Fiberight is retrofitting to make trashanol just outside of Blairstown, Iowa. Moreover, Fiberight is converting an old corn ethanol plant in a $42 million project just outside of Blairstown, Iowa, that will turn landfill gunk into fuel. Iowa City might join the exploration of this fuel frontier soon. City officials have been negotiating with Fiberight over a deal for a pre-processing plant that would sort out suitable waste from Iowa City’s municipal landfill and truck it to Blairstown. The City Council expects to make a final decision next year. Mayor Matt Hayek said Iowa City needs to take steps to reduce the flow into the landfill. “If we don’t pursue something with Fiberight we still have to grapple with the fact that we’re sending a lot of organic material to our landfill that potentially could be put to better use,” he said. City officials say they want to keep a close eye on Fiberight’s project in Marion before making any final decisions. Following closely behind Fiberight is Fulcrum BioEnergy. It is working on an industrial trashanol operation just east of Reno, Nevada, using municipal solid waste and plans to launch large-scale projection in 2017. The closest full-scale trashanol project in the United States is in Vero Beach, Florida, by a company called INEOS Bio. According to its website, the project uses land waste, which is a portion of municipal solid waste, but Fiberight and Fulcrum BioEnergy intend to use a broader spectrum of garbage. Even with the industry in its beginning stages of commercialization, researchers are confident in the viability of making cellulosic ethanol but raise concerns about its economics. To make cellulosic ethanol, engineers can use two different methods. One approach uses gasification to transform the material into carbon monoxide and hydrogen, which then can be fermented or chemically altered into ethanol. The other approach uses pretreatment and enzymes, which is how Fiberight converts landfill waste into ethanol. Pretreatment has two parts: it involves physically breaking-up the material into smaller sizes and adding chemicals and heat that make it easier for the enzymes to access cellulose in the material. The enzymes are added to breakdown the cellulose into sugars. The sugars are then fermented into ethanol. But the enzymes are costly. 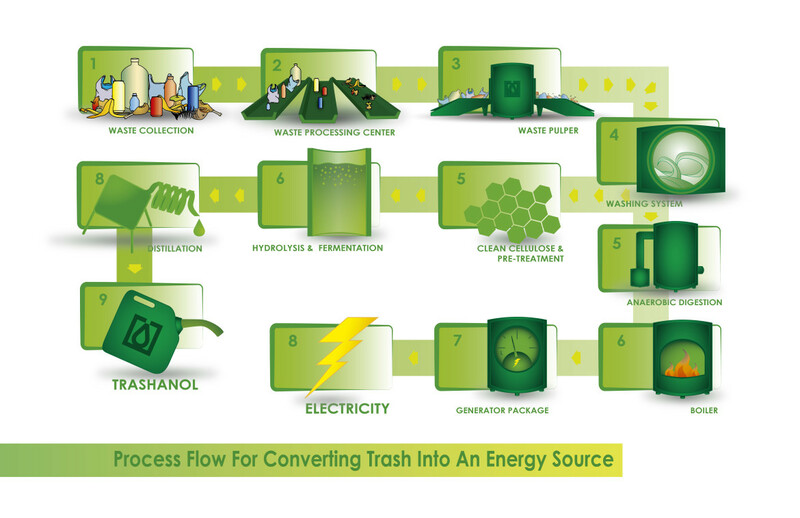 This diagram, derived from one produced by the Fiberight company, shows the process the company uses to turn garbage into a fuel source. Jan Koninckx, global business director of biorefineries at DuPont, said as the industry advances, the cost of enzymes will go down and their function will improve. In other words, the enzymes will leave less biomass behind. A subsidiary of DuPont, called DuPont Industrial Biosciences creates an enzyme for producing cellulosic ethanol. Jason Blake, global director of biomass business development at Novozymes — the maker of the enzyme used in Fiberight’s process — said Novozymes has been developing these enzyme cocktails for nearly 10 years. He said the low cost of the firm’s current enzyme called Cellic CTec3 is a testament to future decreases in cost. Blake said the first generation of cellulosic ethanol enzymes cost $4 to $5 per gallon for every gallon of ethanol that was produced. “The cocktails were not ready for commercial prime-time,” he said. On average, Cellic CTec3 now accounts for only 50 cents of the total cost of producing a gallon of ethanol. “That was the magic number that made them say, ‘okay, this makes sense to build,’” he said. But even with lower enzyme costs, Jeff Passmore, former vice president of Iogen, a company that makes cellulosic ethanol, said the industry is only in its beginning stages and to start making big returns companies need to push beyond just one or two plants. To compete with corn ethanol, he said, the industry must reach multiple plant commercial scale rollout. “The first one is going to cost more money and you’re going to learn a lot from building it and by the time you build the second, third, and tenth, you’ll be a lot more efficient,” he said. Despite profitability concerns, Stuart-Paul said he’s confident in Fiberight’s commercial scale plan. Adding that landfill waste brings its own economic advantage over other cellulosic biofuels. “We’ve done a lot of fundamental de-risking,” he said. “The big reason that cellulosic ethanol doesn’t work for other companies is because they don’t get money for the feedstock. They have to pay farmers for the corn stover, and we get the tipping fees,” referring to fees haulers pay for each ton of trash they unload. 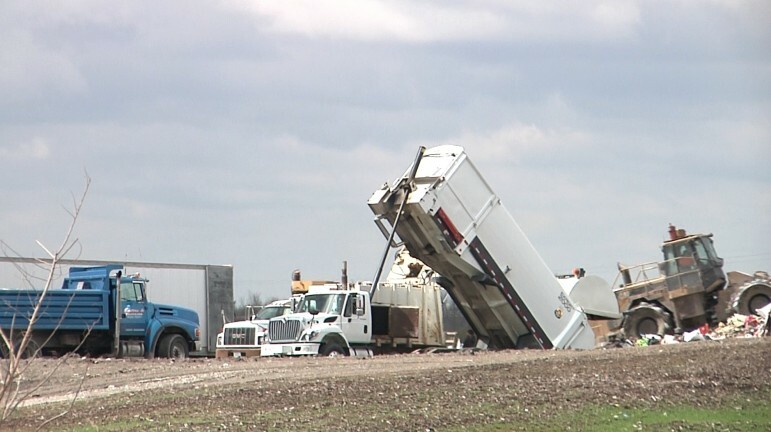 Trucks unloading garbage on May 2, 2014, at the Cedar Rapids/Linn County Solid Waste Agency, where Marion, Iowa, takes its landfill waste. When technology for advanced biofuels started taking off, federal lawmakers had high hopes for a massive expansion of the ethanol industry. In an effort to accelerate growth for domestic fuels, Congress passed a law in 2005 mandating that transportation fuel sold in the United States contain a minimum amount of renewable fuels. Expanded in 2007, the mandate, called the Renewable Fuel Standard, required that the country’s transportation fuel contain at least 36 billion gallons of renewable fuels annually by 2022, with 21 billion coming from advanced biofuels, including 16 billion from cellulosic ethanol alone. But the cellulosic industry has been unable to meet annual mandates for renewable fuel. So the EPA has proposed trimming them. For 2014, the mandate for all renewable fuels has been reduced 16 percent to 15.21 billion gallons, with cellulosic ethanol getting slashed to only 17 million gallons this year – down from the original 2014 goal of 1.75 billion. The proposal is open for public comment, and the EPA should reach a final decision in June. Passmore, the former Iogen executive, said uncertainty and fear about changing the Renewable Fuel Standard caused investors to hold back on essential funding for the industry. And now that several companies are making headway on commercial scale projects, he said the Renewable Fuel Standard ironically serves as another challenge to its own objective — expanding the industry. “What we need is confidence in the market that there’s going to be policy stability coming out of Washington in the RFS (Renewable Fuel Standard),” Passmore said. Another concern facing cellulosic ethanol is the blend wall, or the maximum amount of ethanol that can be blended in with gasoline. The U.S. standard mixture of ethanol and gasoline is E10 — “10” represents the percent of “E,” ethanol, mixed in with gasoline. In other words, the U.S. standard fuel mixture consists of 10 percent ethanol and 90 percent gasoline. Corn ethanol pump for E10 through E15 mixtures. Because corn ethanol produces more than 10 percent, the cellulosic biofuel industry confronts a saturated market. The ethanol industry must push past the blend wall to create more demand for advanced biofuels. On May 21, Iowa Gov. Terry Branstad signed a law to promote higher blends of fuel. 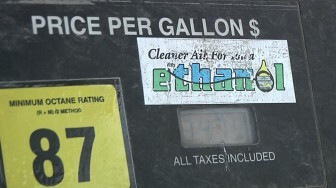 The law gives ethanol blenders incentive to make E15 through tax credits and production refunds. The EPA approved the use of E15, which increased the size of the ethanol market, but it hasn’t yet become the industry standard. “For U.S.-made biofuels to become a major player in the transportation sector we have to promote policies that promote the use of straight biofuels and not limit them to the small role they can play as a blend with fossil fuels,” George Philippidis, professor of sustainable energy of the University of South Florida, said. But straight biofuels and higher blends of ethanol, like E85, call for specialized pumps and cars that have limited availability throughout the nation. The expense of building E85 infrastructure is sometimes paid at the gas station’s expense, or split with the fuel supplier on the contingency of selling only their fuel at the pump. Most E85 infrastructures are concentrated in the Midwest because proximity to the ethanol cuts down on transportation. But successes with trash ethanol could open the door for ethanol production in all corners of the nation and on a year-round basis, biofuels business leaders say. “Because it is so abundantly available near large population centers where fuel is demanded, we think that municipal solid waste is really the premier advanced biofuel feedstock,” said Ted Kniesche, vice president of business development at Fulcrum BioEnergy. But consumer demand needs to increase, as well. Cars developed to run on E85 are called Flex Fuel cars. They have an engine designed to handle larger blends of ethanol. Flex Fuel cars don’t cost manufacturers much more to make than regular cars, but many consumers lack the knowledge about Flex Fuel cars for those cars to become a major player in the auto industry. Northey said interest in building infrastructure in the Midwest for biofuels stems from greater awareness about sustainable fuels. “There’s more of an interest here, you have more folks that are supportive of it,” he said. Business and agricultural experts don’t see cellulosic ethanol as a detriment to an agricultural economy. “I think, in general, being in a place where this innovation is beginning and where we’re leading, that’s always a good place for Iowa,” said Tina Hoffman, marketing and communication director at the Iowa Economic Development Authority. Hoffman said that, with the world’s growing population, less demand for corn ethanol gives way for Iowa to better feed the world. Even with the abundance of municipal solid waste, DuPont’s Koninckx said corn ethanol likely will stick around. Koninckx views trashanol as a good objective but doesn’t see it meeting the nation’s high fuel demand. Predominant production likely will remain in the Midwest and expand into the South because of available biomass like switch grass, he said. Biofuel experts and engineers who have studied cellulosic ethanol say it offers a much smaller carbon footprint than fossil fuels and even corn ethanol. “That is one of the reasons that we say that cellulosic biofuels are more sustainable than biofuels produced from food crops,” Philippidis said. To evaluate greenness, scientists often look at carbon emissions — earth-warming greenhouse gases like carbon dioxide and methane gas. Making trashanol emits some carbon dioxide in the process, but Iowa State University’s Jarboe said the emissions at least serve a useful purpose over the emissions from landfilling. Landfilling also leads to virtually unusable land and methane gas production, which is commonly known as a much more potent greenhouse gas than carbon dioxide. And Kniesche, of Fulchrum BioEnergy, said trashanol’s environmental footprint differentiates itself from other advanced biofuels. But skeptics are raising their eyebrows at this seemingly cure-all process. 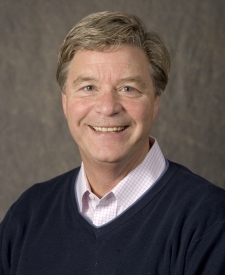 Mike Carberry, director of the environmental consulting company Green State Solutions, of Iowa City, has been vocal in his concerns about Fiberight’s carbon footprint and cites an InsideClimate News article as evidence of environmental issues with cellulosic ethanol. The article asserts that biomass plants release up to 50 percent more carbon dioxide than coal plants. And have gotten away with the emissions through regulatory loopholes. The Biomass Power Association called the report “an ‘81-page editorial’ that misconstrues state and federal regulations.” And many biofuel engineers and researchers are optimistic about trashanol’s benefits. “Conversion of waste into fuels is one of the hottest technology developments in the fuel arena,” said Robert Brown, mechanical engineering professor at Iowa State University. Despite qualms about profitability, the Renewable Fuel Standard and market acceptability, Iowa’s Northey said the cellulosic ethanol industry still could find success. Click the map to see where alternative fuels in the United States are being produced. Versions of this IowaWatch story were published by The Des Moines Register and Fort Dodge Messenger under IowaWatch’s mission of making its news available free to media partners. Despite the Trump Administration’s ardent support of coal over renewable energy, the percentage of U.S. electricity from renewable sources continued its gradual rise in 2017.